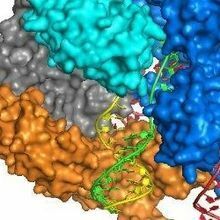 Researchers have refined amino acids in the Cas9 protein to reduce the occurrence of off-target gene edits. 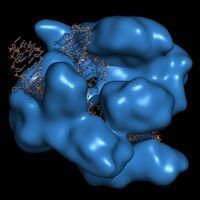 PIXABAY, PUBLICDOMAINPICTURESThe CRISPR/Cas9 system is already a widely used precision gene-editing tool, but a group of researchers from the Broad Institute of MIT and Harvard have engineered the Cas9 protein to make it even more efficient. 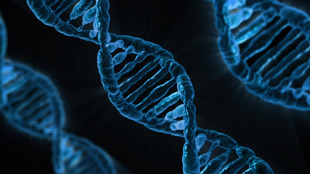 By altering three of Cas9’s amino acids, researchers were able to significantly reduce the occurrence of off-target gene edits. The results were published yesterday (December 1) in Science. 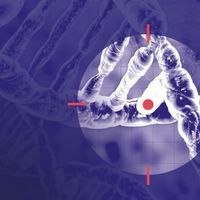 “For therapeutic applications, we all want to proceed with maximum caution to make sure we’re not modifying the genome at undesired locations,” David Liu, a chemical biologist at Harvard University who was not involved with the work, told Nature. Even with Cas9’s precision, the protein still sometimes made mistakes between the RNA that guides it and the DNA that it actually binds. The three edited amino acids, each with a positive ion charge, normally help Cas9 bind to DNA—which is negatively charged. Replacing these amino acids with alanine, which is neutral, hindered Cas9’s ability to bind off-target DNA sites without significantly affecting the correct edits. “It’s a matter of tempering the excess ‘enthusiasm’ of Cas9, so that it grudgingly accepts on-target sequences and nothing else,” Liu told Nature. The engineered Cas9 is yet another step in refining the CRISPR/Cas9 gene-editing system, though some researchers are still cautious about its potential. 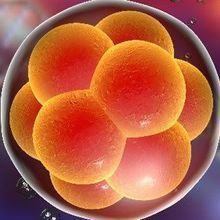 “The field is advancing at a rapid pace, and there is still a lot to learn before we can consider applying this technology for clinical use,” study coauthor Feng Zhang said in a press release.